No more clutter of bars and jars for your nightly skincare routine. 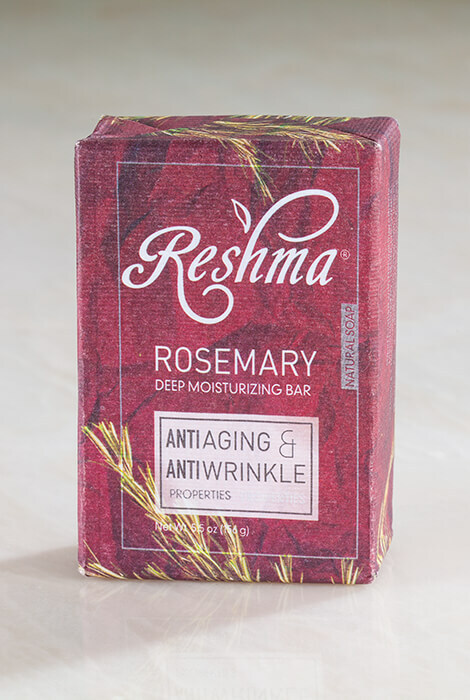 The Reshma® Rosemary Deep Moisturizing Bar does everything you need to fight aging and wrinkles. 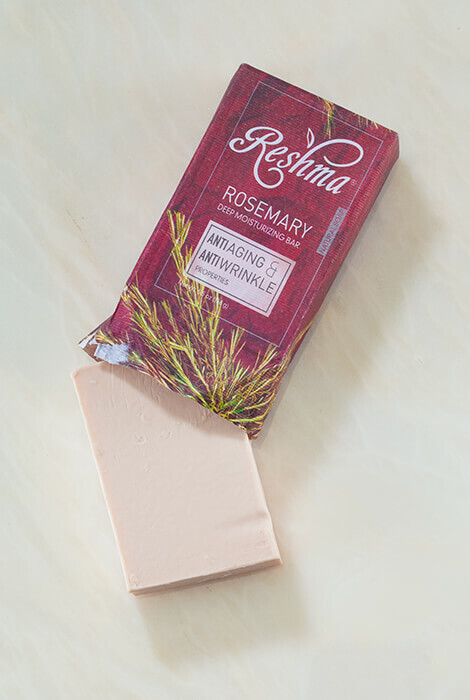 Infused with powerful antioxidant rosemary oil, it cleans and refreshes as it tones your skin. Olive oil and aloe vera extract add moisture to balance and nourish dry, sun-damaged skin. 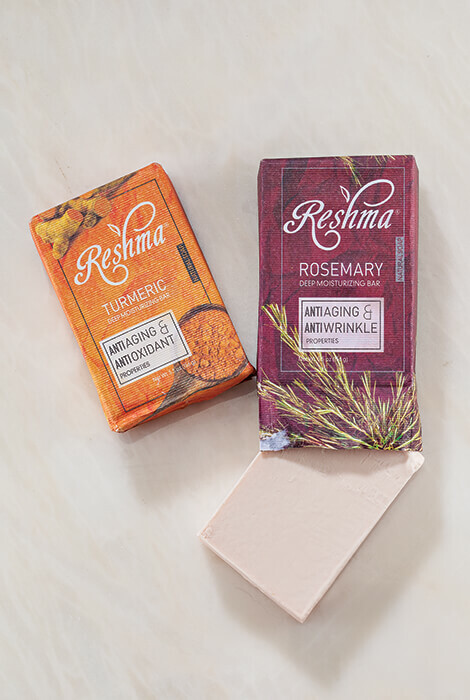 Rosemary essential oil, known for its crisp, clean smell, has been praised since ancient times for its therapeutic properties. Can be used on face and body. Work into lather, apply to skin and wash off with clean water. Repeat as necessary. Can be used on both face and body. Avoid direct eye contact. I love this soap! It lathers up very well, has a great scent, and soften my skin. Its my number 1 soap. I haven't tried this before, but it sounds great. The ingridients are what I'm looking since I have psoriasis, and need to be careful, and look for gentle ,yet cleansing products. I had ordered this before and liked it. I am looking forward of using this product to look the way I want look.